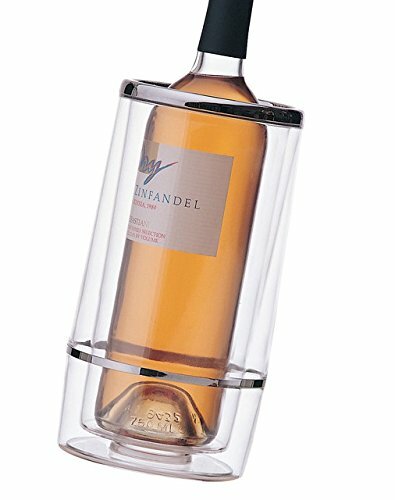 Serve your wine in style with this iceless wine bottle Cooler from Prodyne. It features a durable transparent BPA free acrylic construction with polished chrome accents and a simple modern design that's guaranteed to match well with existing bar ware. This bottle Cooler has double walled technology that keeps one chilled bottle of wine cold for hours, and requires no ice at all. Without the ice, there is no condensation or messy labels, and it is ideal for every occasion, party or event.